Flames of War There are 52 products. Rifle Company box set. Contains 2 rifle platoons and a company HQ. No longer in production and a Command HQ Objective. Only 2 left. 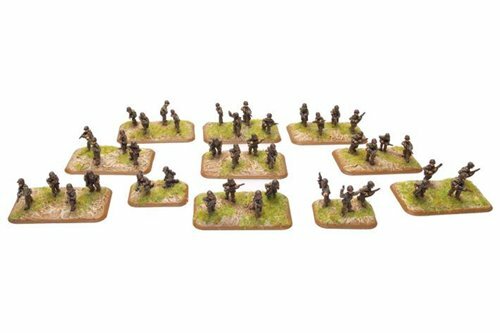 US Airborne Rifle Company with 5 command teams, 1 x Lt Turner Turnbull, 6x Bazooka teams, 3 x snipers, 1x pathfinder marker, 3 x60mm mortar teams, 27x Rifle/MG teams, 49x plastic bases. No longer produced with this combination of figures & special commander Lt Turnbull. M3 37mm gun (x2). 2x guns plus crews. M8 75mm how (Para) (x2). 2 x guns with crews. 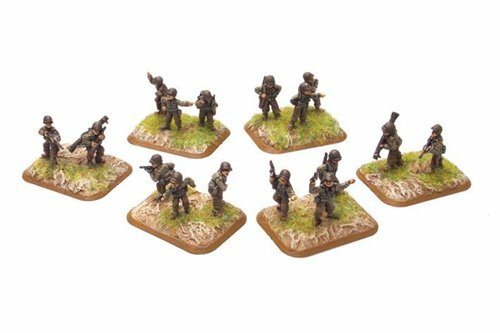 Rifle Platoon with M1 granand rifles & BAR's. 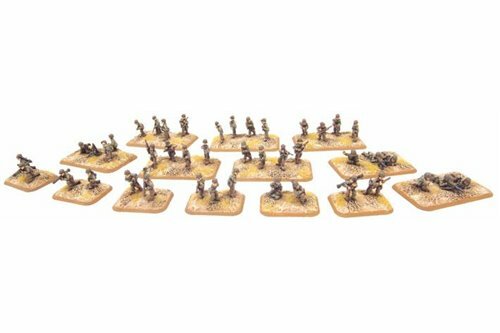 Contains: 1 Officer, 3 NCOs, 3 BAR gunners, 1 bazooka team (2 miniatures), 31 riflemen, 2 small and 9 medium bases.